Shawnee National Forest has been known for its wetlands, large oak trees, and its rolling hills; however, it has recently gained attention for something else: wine. In 1978, a man by the name of Guy Renzaglia pioneered the development of the wine industry in Southern Illinois. He along with a few others cofounded The Shawnee Wine Trail which includes a vast majority of the breath-taking Shawnee National Forest and stretches about eighty miles east to west and twenty miles north to south or 1,350,000 acres. One of the other founders, Ted Wichmann, petitioned and helped the area earn Illinois’ first AVA (American Viticultural Area) in 2006. This designates the Shawnee Wine Trail as unique grape growing land. Cabernet Franc, Chambourcin, Chancellor, Chardonel, Fronenac, Riesling, and Traminett are just seven of the various grapes grown specifically for wine making in this area. Since its inception, the Shawnee Wine Trail has grown to include 55 vineyards and 15 wineries. In 1999 the Illinois Grape and Wine Resources Council estimated that the wine trails’ products provided one million dollars to boost the area economy and by 2001 there were five wineries that produced more than 150,000 bottles. In 2010 the area had an estimated twenty-eight percent annual growth since the mid 1990’s and that forty percent of the wine trail’s visitors were non local. This means that the Shawnee Wine Trail is an excellent source of income by tourism and its various bed and breakfasts, cabins, and vacation rentals have significantly boosted the region’s hospitality industry. One of the more successful Southern Illinois wineries in the Shawnee Wine Trail is our company, the Von Jakob Winery and Brewery located in Alto Pass, Illinois. Our business consists of fifteen acres of Illinois vineyards and produces over twenty unique wines ranging from full-bodied reds to dessert wines. For those that favor beer, we added a brewery in 2010 that now produces eight styles of handcrafted beer, not including seasonal batches and hard cider that we started making in 2012. 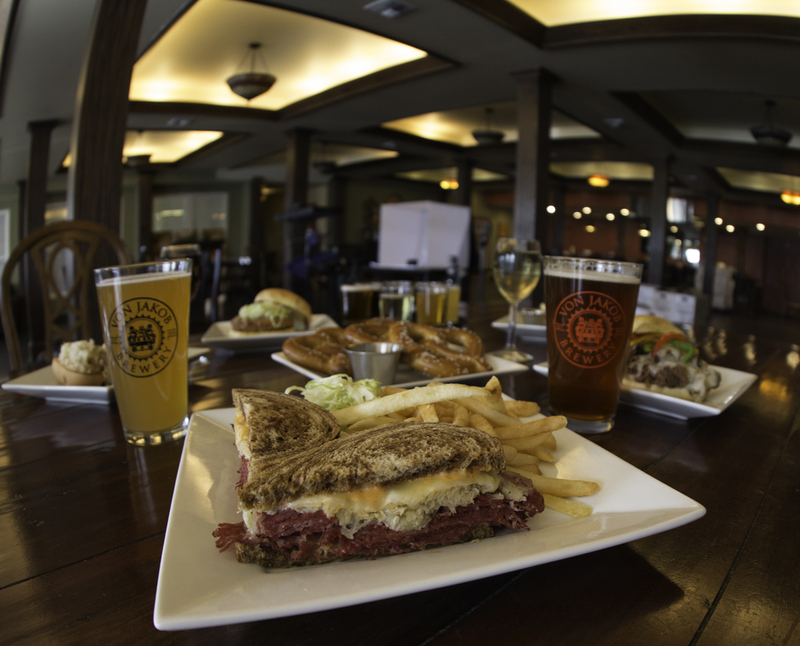 We also serve a wide variety of dishes such as German Beef Brisket and Grapevine Smoked Barbecue Sandwiches in our Grill & Pub. Our Southern Illinois winery also features two bed and breakfast cottages: The Wine House and The Port House. Either of them are perfect for a romantic overnight stay or weekend getaway. The Wine House has three fully furnished bedroom suites and are decorated to fit their unique names: The Canyon Gold Suite, the Chateau Suite, and the Cab Sav Suite. The Port House on the other hand has two: The White Port and the Red Port Suites. Both cottages overlook Shawnee National Forest and include king-size beds as well as Jacuzzi tubs to relax and enjoy the awe inspiring view. Customers receive a complimentary welcome basket and a bottle of wine from the winemaker’s selection. We also host southern Illinois events throughout the year such as live music. Private events like weddings and small parties can be booked too. If the planned festivities include more than fifty people, there is also an exquisite Brewery Ballroom and Winery Ballroom. Both of which can seat over one hundred occupants; perfect for company retreats or seminars. If you are in the Southern Illinois area and think that there is little to do, then think again and come check out the picturesque Shawnee Hills Wine Trail. We hope you come visit us and uncork the good life at our family owned and operated Von Jakob Winery and Brewery. Streakin' Johnny Hard Apple Cider is 2013 "Fruit Wine of the Year"